I thought that it may be useful to provide you with some key pieces of information regarding the school year ahead. We believe that Mock Exams help students by providing them with a model of the process they will go through later and with clear information concerning where they are making good progress and where additional efforts may be required before the final exams. We are therefore going to run a full 5 day programme of Mock Exams during the week commencing Monday 1st February 2016. During this week Year 11 students will only be expected in school to sit their mock exams and will be on study leave, allowing them to prepare at home, during any periods when they do not have an exam. Results from all of their Mock Exams will be released to them during the week commencing 22nd February. 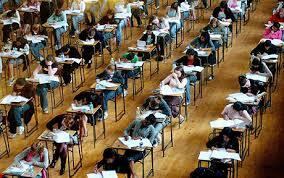 The actual GCSE exams commence on 13th May, with the big English, Maths and Science exams starting on Monday 23rd May. We are therefore starting Year 11 Study Leave on Monday 23rd May. Prior to this date Year 11 students will follow their normal timetable, from this date they will only be expected in school for their exams. They will of course be welcome to come into school to get support from staff, details of how we will manage this will be communicated nearer the time. The GCSE/BTEC results will be released to students on Thursday 25th August 2016. On this day students can collect their results from the school between 10:00 and 12:00. May I end by wishing you all a positive year ahead and reminding you not to hesitate to ask if your son or daughter needs any support in their studies.